An 1887 French introduction this variety may be grown as a hedge or in a group as well as a single plant. Vigorous growth. 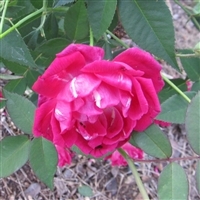 Bred in England and a 1879 introduction, good depth of color and fragrance.